Brewery Verhaeghe Vichte was founded as a brewery-malterie by Paul Verhaeghe. Most of the Belgian breweries of this time organised their sales in the immediate vicinity of the brewery. In this sense they can say that the Verhaeghe brewery already showed a great commercial activity in the previous period to the great war. Through a railway line linking Vichte with Brussels, the Verhaeghe brewery was able to sell a significant part of its production on the Brussels market. After four years of inactivity, the brewery had lost all its customers in Brussels and was put in front of the investment of a whole new production equipment. In the post war period the brewery remained bound regionally and adapted to new trends in the market. The first brews of beer of low fermentation by the brewery date from this period. The brewery was focused also on the improvement of the quality of its existing beers. 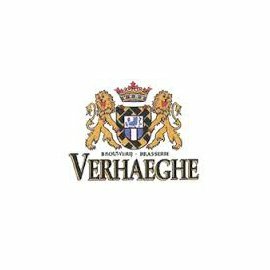 At the present time the Verhaeghe brewery feels itself confirmed in its earlier choice : a little less, but better. Not only in Belgium, but also far outside the Belgian borders, the consumer prefers more and more beers of high quality with a unique identity. The commercial success of the "Duchess of Burgundy" beer, is the best proof : The Duchess of Burgundy is a red brown of West Flanders, matured in oak casks and is brewed according to an ancient method that is geographically linked with the southwest of the province of West Flanders.